There are almost 100,000 public schools in the U.S., representing a substantial opportunity for clean energy upgrades via rooftop solar panels, especially across the Sun Belt. School systems like IDEA Public Schools in South Texas aren't passing up the chance to go green and significantly reduce their electricity costs by switching to solar. Based in Weslaco, IDEA Public Schools is a tuition-free network of charter schools serving Pre-K to grade 12 students. It currently enrolls 45,000 students and will include 97 schools by the end of 2019. Since graduating its first class in 2007, IDEA has maintained a 100 percent college acceptance rate for its students. IDEA recently translated its excellence in education to its environmental endeavors after flipping the switch on an ambitious rooftop solar installation at its Weslaco headquarters. This installation includes more than 1,000 solar PV panels with a total power output of 364.48 kilowatts. Over the course of a year, the solar infrastructure at IDEA HQ can generate over 500,000 kilowatt-hours of electricity and thereby meet three-fourths of the facility's annual demand. Financing came in part from the Green Mountain Energy (GME) Sun Club, which awards grants to advance sustainable communities. GME described the IDEA Headquarters project as possibly the first self-sustaining building in South Texas, with edible gardens and innovative waste management solutions in addition to its solar PV power generation. Alba Energy designed and engineered the project at its offices in McAllen, TX using world-class Trina Solar modules, and then installed it at the IDEA Weslaco facility. "Alba Energy is honored to be selected as the solar design, engineering, and installation firm for yet another project in partnership with the Green Mountain Energy Sun Club," stated Graeme Walker, founder and CEO at Alba Energy. "This system is one of the largest in the [Rio Grande] Valley, and it will provide IDEA Public Schools with 25-plus years of savings and carbon reduction." The IDEA project furthers Alba's dual commitment to the expansion of clean energy and the reduction of electricity expenses. Trina Solar is excited about the transformational change this project will deliver for IDEA and its communities across Texas. 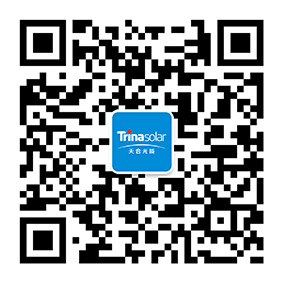 To learn more about Trina Solar, web page today. For additional background on Alba Energy, check out their main site.